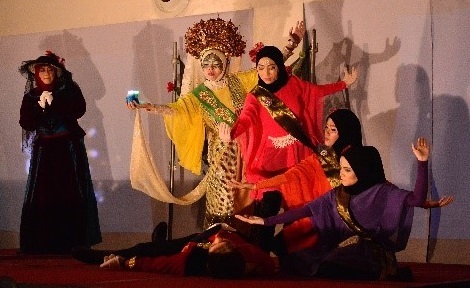 11th April 2015 witnessed another dramatic performance by the students of Drama & Theatre with the production Love.Fabric.Life under the supervision of FASS lecturer Mr Low Kok Wai. 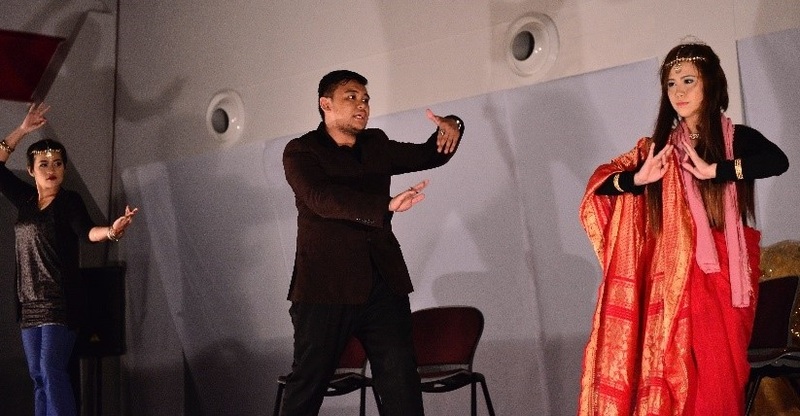 It was the 11th production of the FASS Drama & Theatre Studies programme, and it was held at the Institute of Health Sciences (IHS) open concourse. About two hundred and forty members of the audience were entertained by an exhibition that showcased five different fabrics from around the world. The theme Love.Fabric.Life was chosen to envision cultural aesthetics and values as well as to highlight some elements of traditions derived from the lives and narratives of different cultural fabrics. Five plays with five different storylines were put on show, unveiling passion, love, life, and intercultural distinctiveness, and revealing the fragility and complexity of mankind towards its inherited values and traditions. Fabrics including Indian saree, Brunei Malay traditional handwoven cloth Jong Sarat, French lace, denim, leather, and Chinese silk were the central motifs and pivotal points of these plays, titled Dove in Red, Eternal Endeavour, One Last Shot, Blue Black and Silk Apart. This production saw the involvement of people from different countries. Two exchange students from China were in one of the plays. 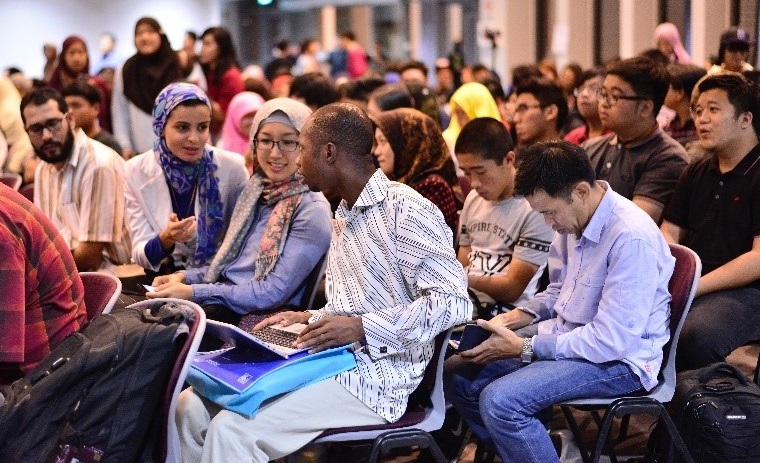 Among the attendees were local Bruneians and those from nations such as Kyrgyzstan, the United Kingdom, Korea, Singapore, Gaza, Pakistan, Vietnam, Ghana, Nepal, Myanmar, China, Japan, Australia and Malaysia. "It has been a refreshing experience for me to see young talents creating their arts by connecting the local history and identities. It was so powerful. Well done!" "I always look forward to the drama productions staged by our FASS students. Each time they never cease to amaze me with their sheer talent and boundless creativity. This production is no exception. The stories of love lost and love (re) gained interwoven amidst a rich tapestry of cultures and traditions were indeed fascinating. In a sense, I feel that this fact reflected the diversity that is an inherent nature of our faculty."